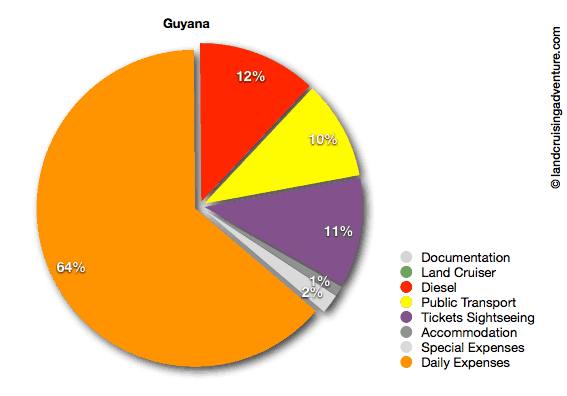 Here is our overview with practical travel information on Guyana where we cruised for 11.5 weeks, divided over 2 visits. If you have anything to add, feel free to do so in the comment section below. We appreciate it. 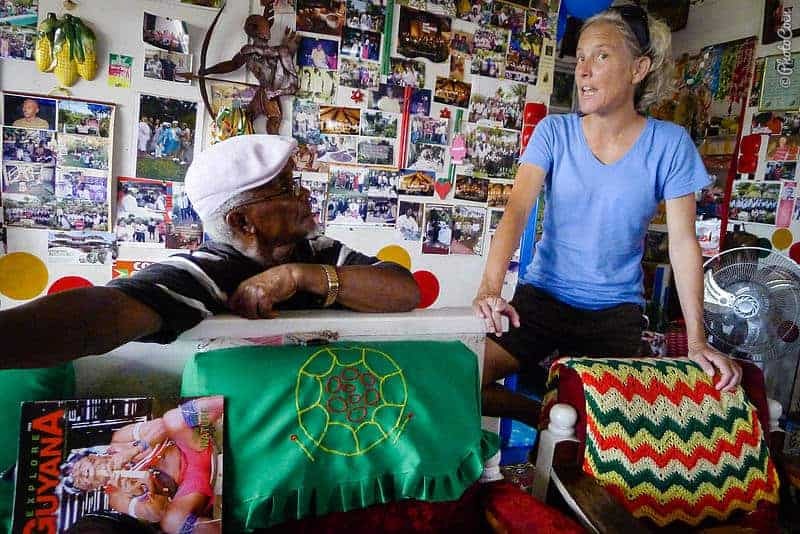 “Doing” the Guianas – Should we Start From the East or the West? We often get the question whether to drive westbound (French Guiana – Suriname – Guyana), or eastbound (Guyana – Suriname – French Guiana). But also read below the section on Documentation & Temporary Import Document for an important reason. 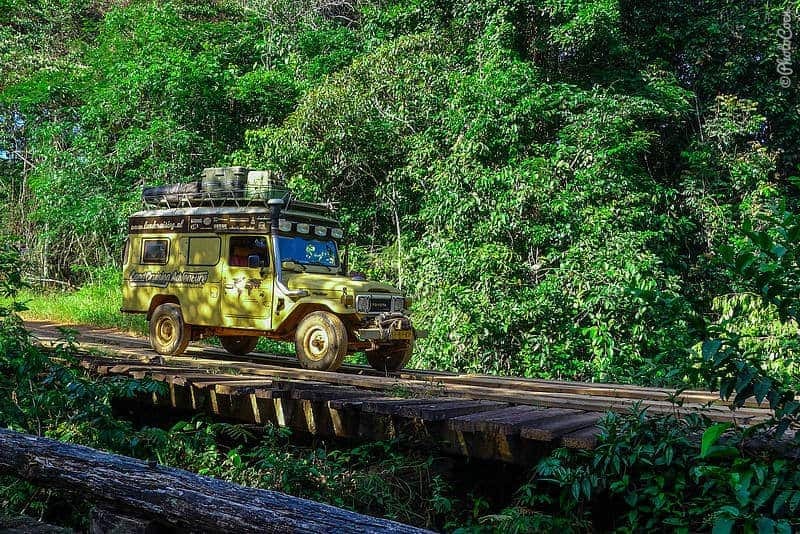 Coming from Brazil they give you only a 3-day permit to reach Georgetown, making you miss out on the best part of Guyana (Rupununi Savanna, Mahdia, and Iwokrama Forest). Guyana 1: Jul/Aug 2012 (coming from Suriname, Georgetown, Essequibo Coast, Charity, Moruca, with a ferry from Parika to Bartica, inland to Madhia, Rupununi Savanna, left for Brazil). 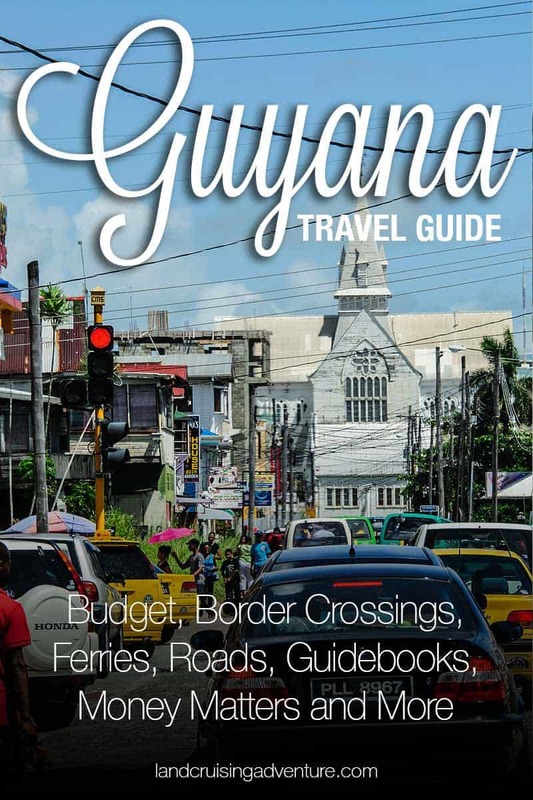 Guyana 2: Oct/Nov 2015 (coming from Brazil, in two days to Georgetown and spent all our time there working on the Land Cruiser, left for Suriname). Average expenditure: €20.85 /day (2 persons, the expenses for the overhaul are not included). In Guyana you pay with Guyanese dollars, in writing $ is used. Nov 2015: The rate is about $218 to €1 ($207 to 1 US dollar). We had no problem withdrawing money from ATMs, although we have the impression that GBTI Bank and Scotia Bank worked best for us. We don’t use a credit card or traveler cheques. After Venezuela, where we found it hard to spend money at all due to the country’s outrageous inflation (read about it in the Venezuela Travel Guide), we found Guyana a bit of a shock for its prices. We realize that this may not be a fair judgment; in fact, we don’t really how to judge it. 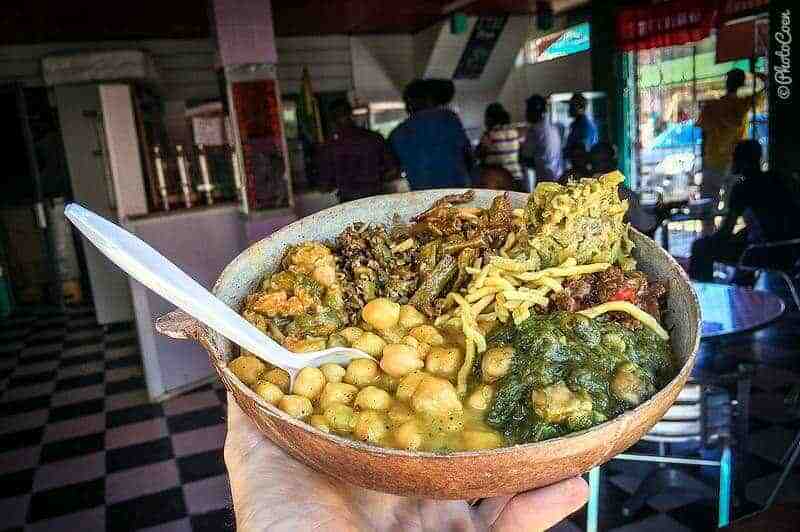 To give an idea, for a lunch on the street we paid 600-800 Guyanese dollars. In a restaurant 1200 for something basic. We paid a whooping 2500 (or 1850 without meat) at the Oasis Cafe (good WIFI!) in Georgetown for an excellent buffet meal. At the Ital (vegetarian) House of Flavours, on the other hand, we only spent $200-$300 for a huge, nutritious, plant-based meal – recommended! We stayed away from the tourist sites as they are expensive, in our opinion. This is especially the case in the Iwokrama Forest and in the Rupununi. I remember reading in a guidebook paying the equivalent of 10 US dollars for a guided, one-kilometer trail in the forest I rest my case. 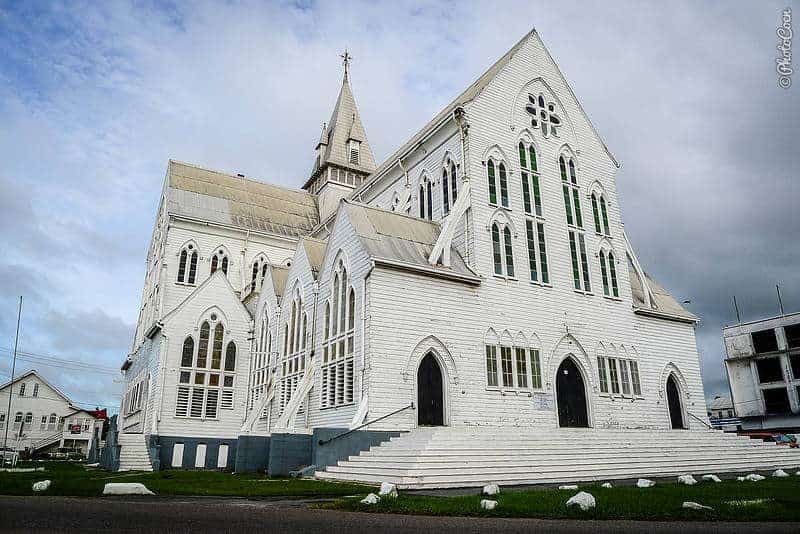 The first time we came to Guyana, coming from Suriname in 2012, we got a 1-month visa. We extended in Georgetown and got another month. This could be done only a few days before it expired. The second time, coming from Brazil in 2015, we asked for the maximum possible and we got 3 months at the border (Lethem). The visas, as well as the extension, were free of charge. 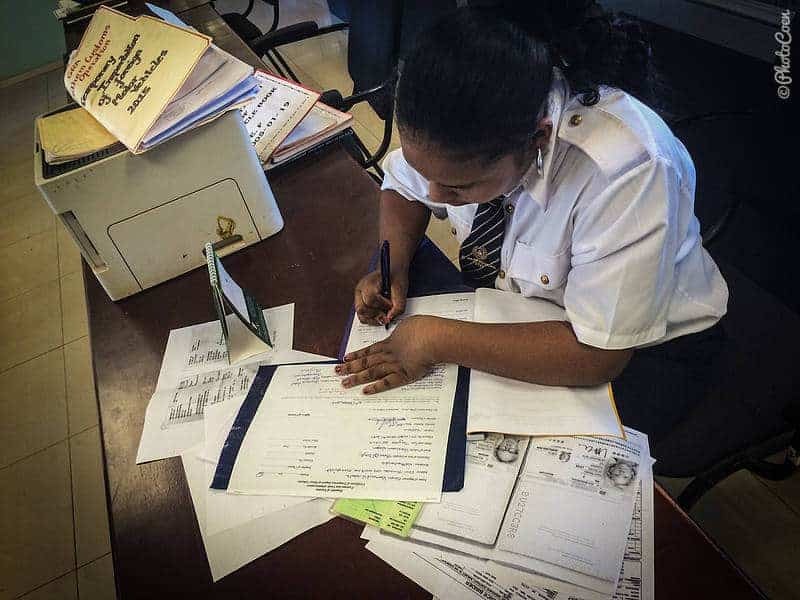 You don’ need a Carnet de Passage for Guyana; at the border you are issued with a Temporary Import Document (TID) for your vehicle. Coming from Suriname (2012) we got 15 days, which, like our visa, could be extended in Georgetown. We got another month and didn’t have to pay for it. 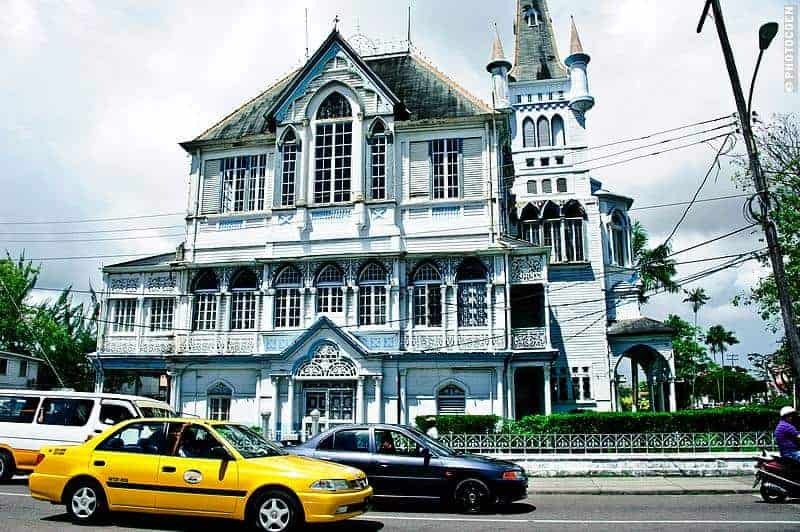 To get the extension, visit the GRA on Camp Street 200-201. 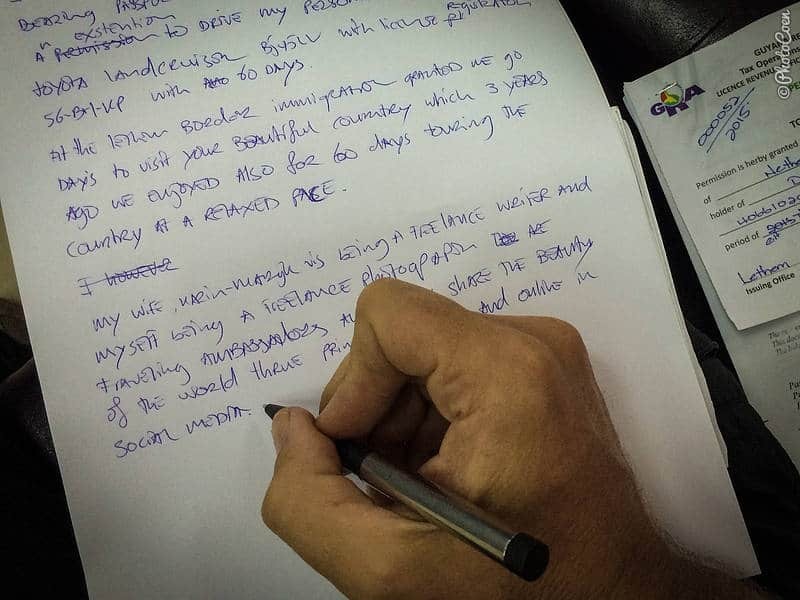 Coming from Brazil (2015): We got a permit for only 3 days to reach Georgetown, where we had to go to the GRA (Guyana Revenue Authority) to get our Temporary Import Document. 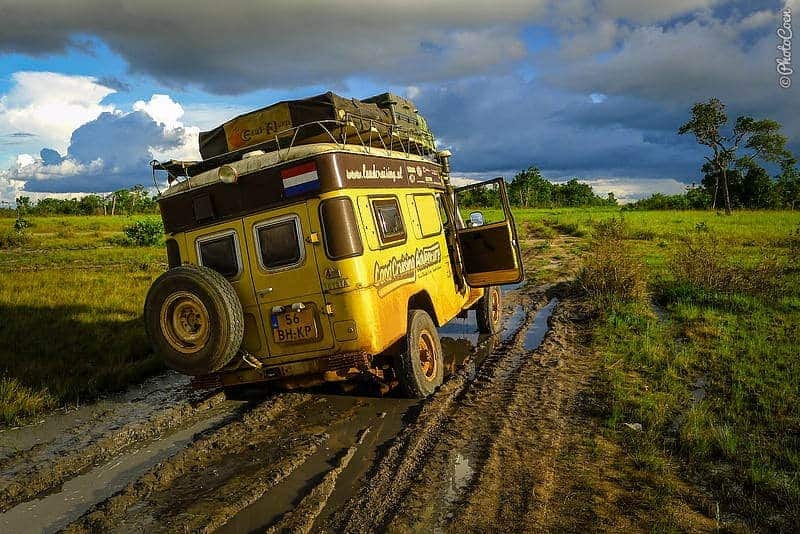 We had heard about this stupid rule before from other overlanders but were upset nevertheless. Small consolation: during the rainy season they give you 5 days. Only cars from Brazil and Suriname can get 14 days, apparently. Note that you can’t enter the GRA building in shorts or be wearing open shoes/flip flops, or shorts and tank top. Coming from Suriname (June ’12): you’ll have to take a ferry crossing (Corentyne River). You can camp the night before at the military terrain if you want to. We could even use the soldiers’ showers. The ferry leaves at 9 in the morning but better line up at 8 a.m. when the gates open; it can get very busy. 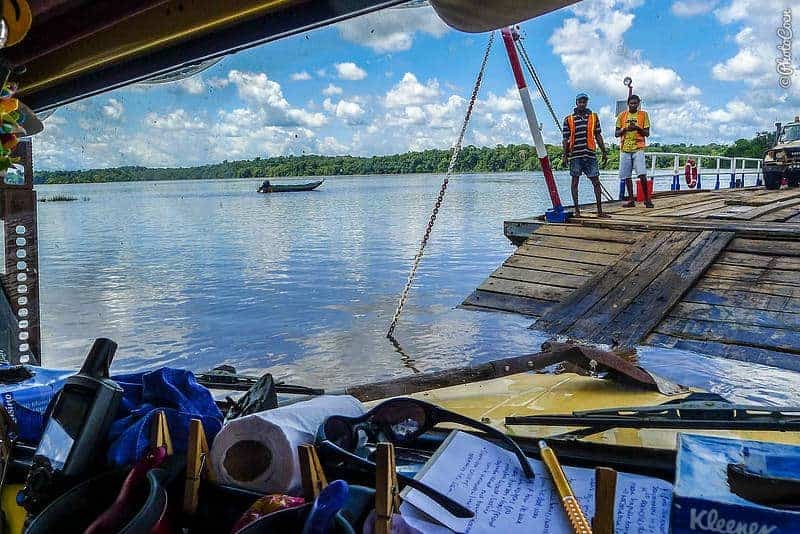 Going to Suriname (Nov ’15): We could camp on the ferry site the night before our departure. The ferry left around 9 in the morning. We paid US$40 for the vehicle and US $15 pp. You can also pay in Guyanese dollars. You do all your paperwork (car and passport) here, right at the ferry terminal. 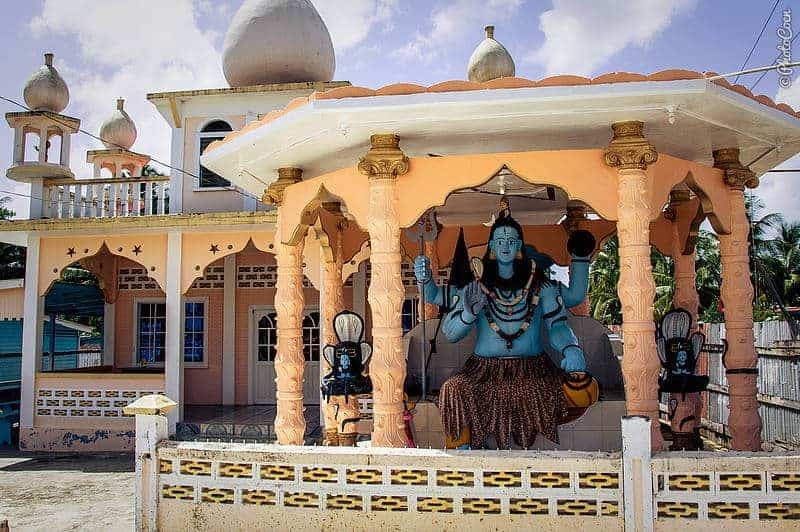 Coming from Brazil (Oct ’15): On the Guyanese side: Just before Lethem you’ll find Immigration and Customs, which are situated next to each other. There is also a health department’s office. Before we got any stamps we had to go to the latter with prove of our Yellow Fever vaccination (it was the first time in 9 years of South America we’ve been asked for any proof of vaccinations). 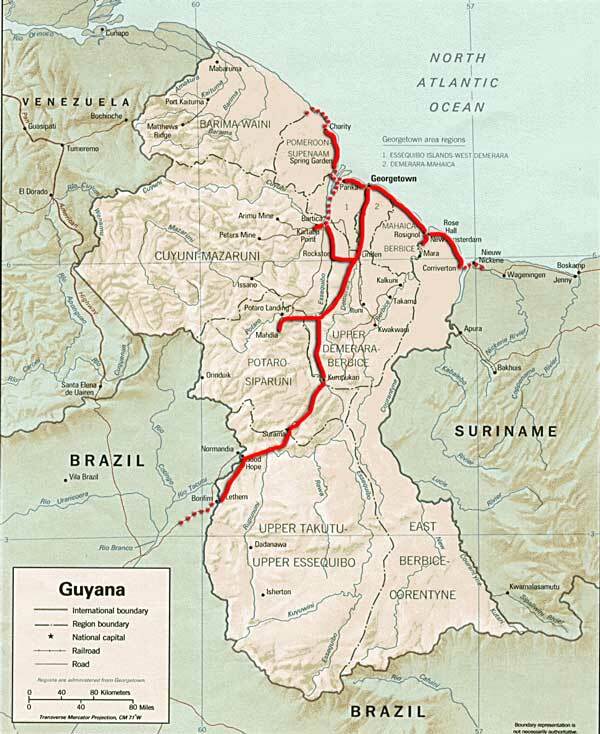 Note that Guyana has no border crossing with Venezuela! (because it’s disputed territory). 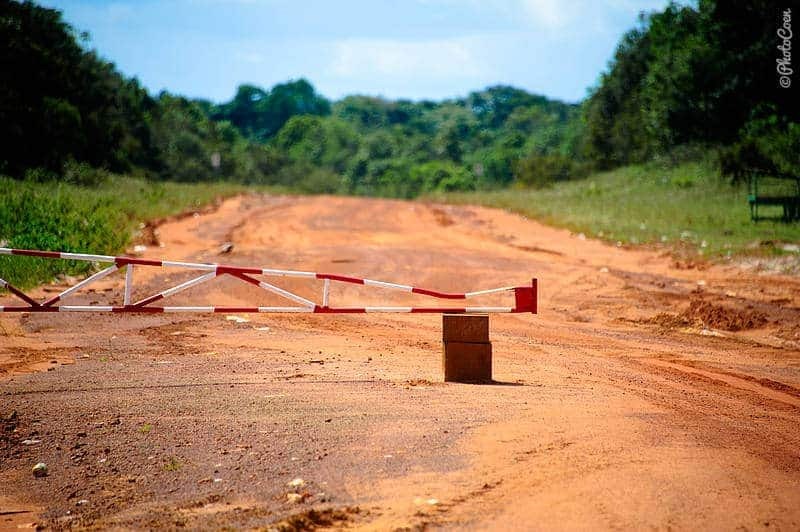 You’ll have to exit via Brazil, and then drive up to Santa Elena to cross into Venezuela (in Brazil the road is all asphalted and good to drive). Our first visit started with such a nice gesture of welcome, a mechanic who fixed our flat tire but who didn’t want to get paid for his work. 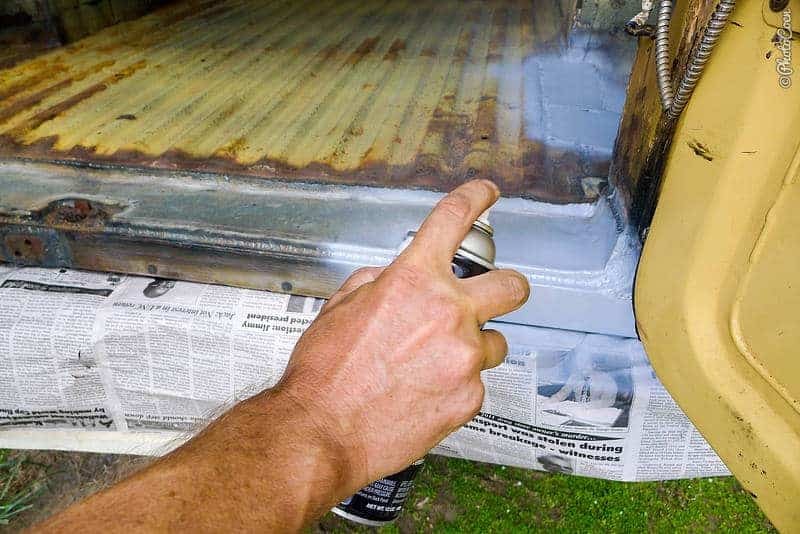 We got a lot of work done on the Land Cruiser during our second visit. While everybody is nice and willing to help, it’s best to bring loads and loads of patience. To give you an idea: the (extensive) welding of bodywork took us 6 weeks whereas in numbers of hours of actual work it could have been done in 2. The mañana mañana mentality is very much alive and kicking in Guyana! Coen wasn’t particularly impressed with the quality of their work either (he worked with three different workshops and five different mechanics, all in Georgetown, not one of them to be particularly recommended). 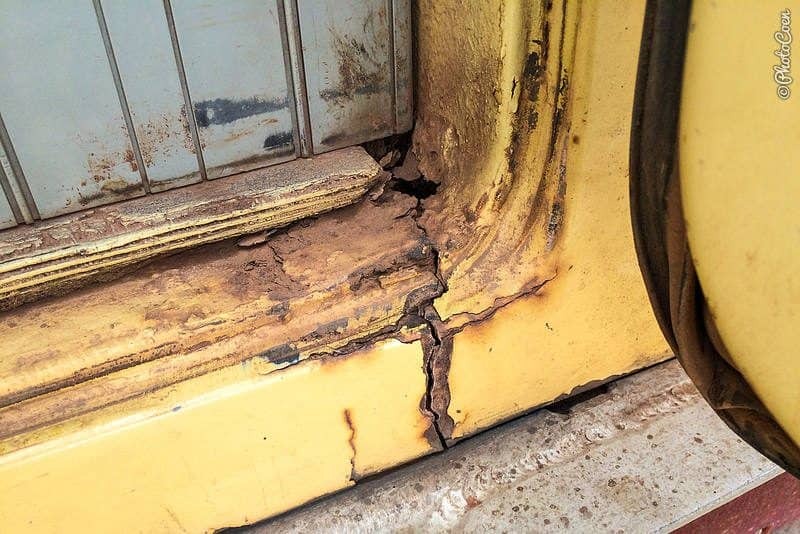 We hope the Land Cruiser’s bodywork will survive another three years or so. 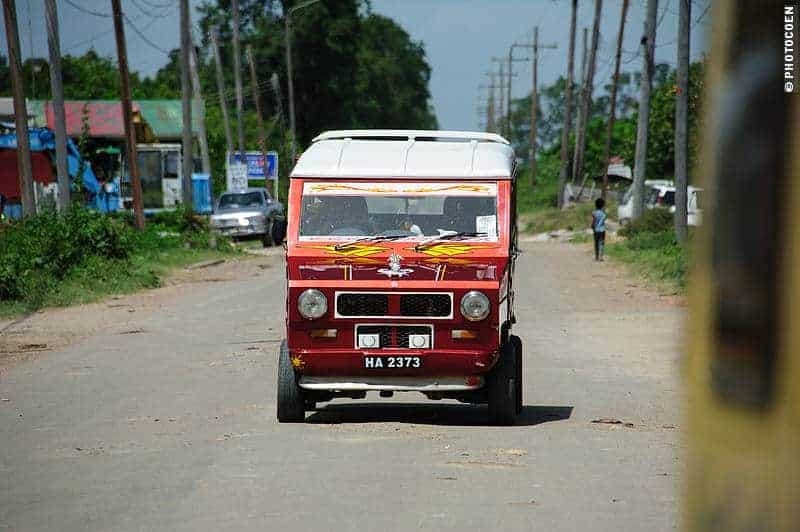 Note that in Guyana they drive on the left-hand side of the road. There are enough gas stations, except when going south of Linden. Km 58 is the last station to fuel up before reaching Lethem (some 300 kms, I believe) or Mahdia (some 100 kms I believe). And, of course, if you want to head deeper into the Rupununi, you’ll have to make sure to fuel up. Oct 2015: diesel costs around 172 per liter (83 US dollar cents). Trying to drive from Mahdia to Kaiteur Falls (did not succeed). Asphalt along the coastline and from Georgetown going south to Linden. Linden – Lethem is unpaved although they are talking asphalting it (don’t hold your breath). This unpaved road is good to drive during the dry season (roughly Aug/Sep until Jan/Feb) although some sections are severely potholed (during our last drive, Oct 2015, the section between the ferry crossing and Linden was particularly bad; 100 kms took 4 hours). 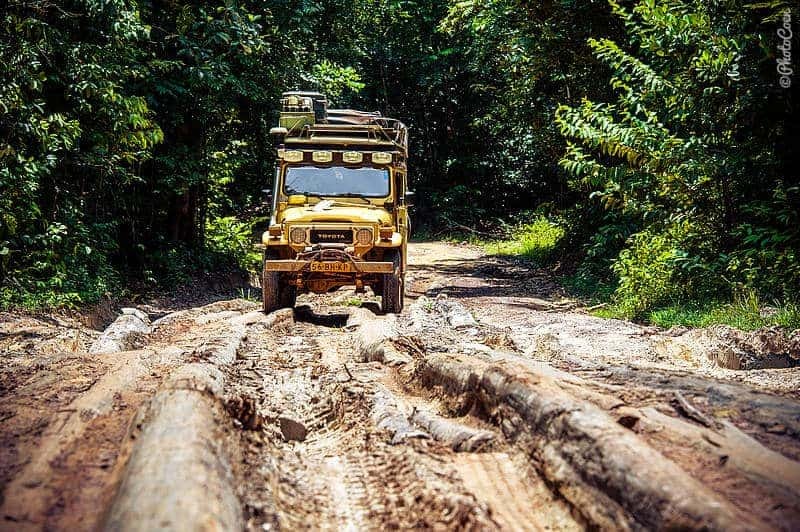 During the wet season, parts of this road can apparently turn into major mud baths. 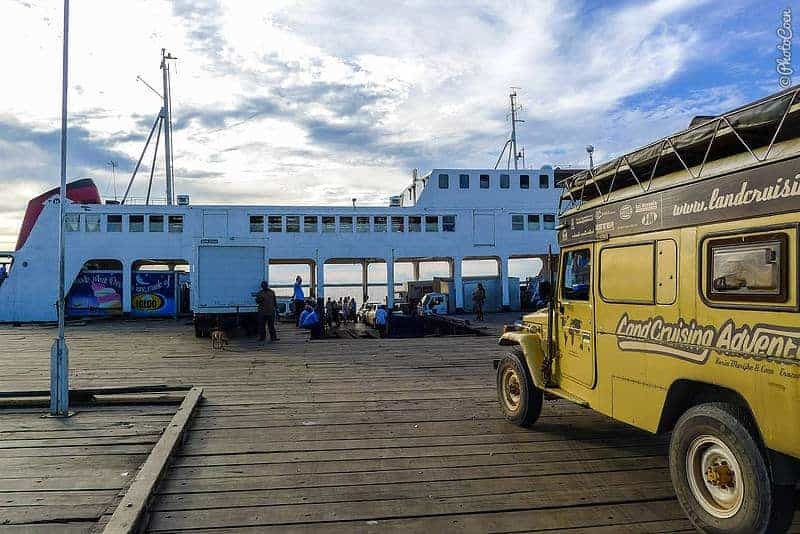 2012: From Georgetown (or Parika, to be correct) we took the 7-hour ferry to Bartica and from there drove to the Shamira Crossing, back to the main Linden-Lethem road and took the turn-off to Mahdia. All unpaved, and I think same conditions as Linden-Lethem road. See more on Ferry Crossings below, under 04 Public Transport because this demands some preparations! Reiseknow Maps didn’t have one on Guyana, so we bought one from ITM instead, which served just fine. Guyana wasn’t on the list of Lonely Planet guidebooks nor could I find one in my Dutch guidebook series, which I generally buy. 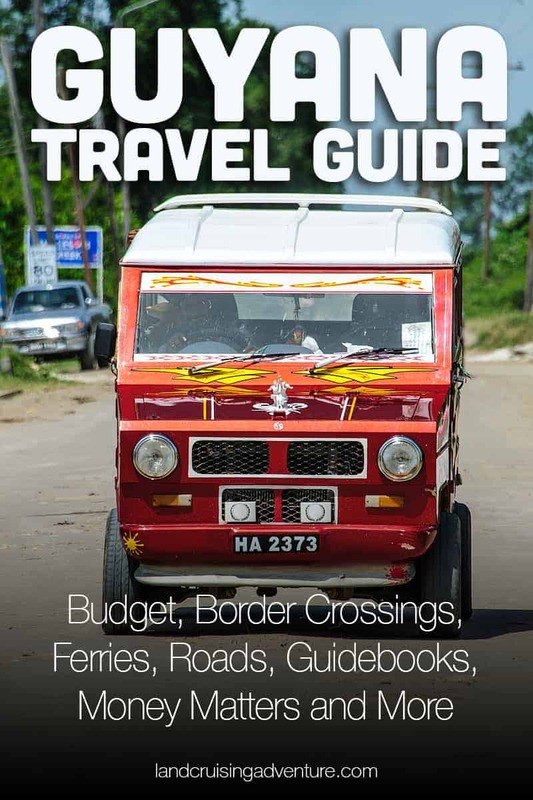 So we got to try a new brand: Bradt Travel Guides. Lucky for us! Why didn’t we know about this series earlier? We found a guidebook we thoroughly enjoyed. It is without endless lists of hotels and places to eat. However, it DOES include tons of insightful more information about the country, its sights and with a focus on the environment. We loved it. So, coming from Brazil and on your way to Georgetown you don’t pay for the ferry crossing of Kurupukari. However, when leaving Georgetown and going south you must have bought your ticket for the Kurupukari Crossing in advance, in Georgetown! You can’t buy them at the ferry crossing itself. Kukupukari Crossing: on the Linden – Lethem road (south of Linden). Mango Crossing: when going to Mahdia (west of Linden-Lethem road). Shamira Crossing: turn-off west just south of Linden to go to Bartica. At the MMC head office in Georgetown: 95 Happy Acres ECD, phone: 220-5416, open Mon-Fri from 8.30am-4.30pm and Sat 9-12am. We enjoyed Georgetown, among which the architecture – find our impressions here. You can also feed manatees in the city. Fun: a museum about steel pans (find it here). 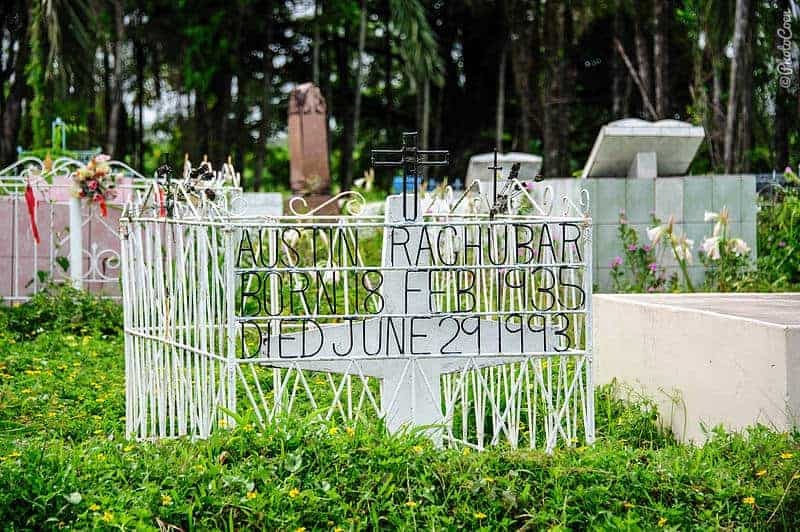 We loved our trip to Moruca: you drive to Parika, cross the Essequibo River by ferry, continue driving to Charity where you leave your car (possible at the police station). From there you take a speedboat to Moruca, an Awarak community. Find it here. 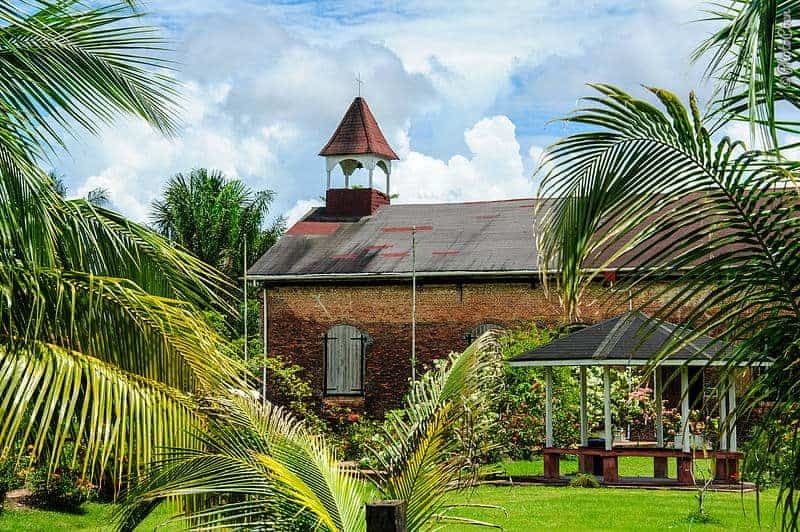 In the Essequibo River is an island with Fort Zeelandia and Court of Policy. Read about it here. We enjoyed the 7-hour ferry ride to Bartica (watching the loading of the ferry is a sight in itself). Strolling this town, where all miners come to stock up was great too. 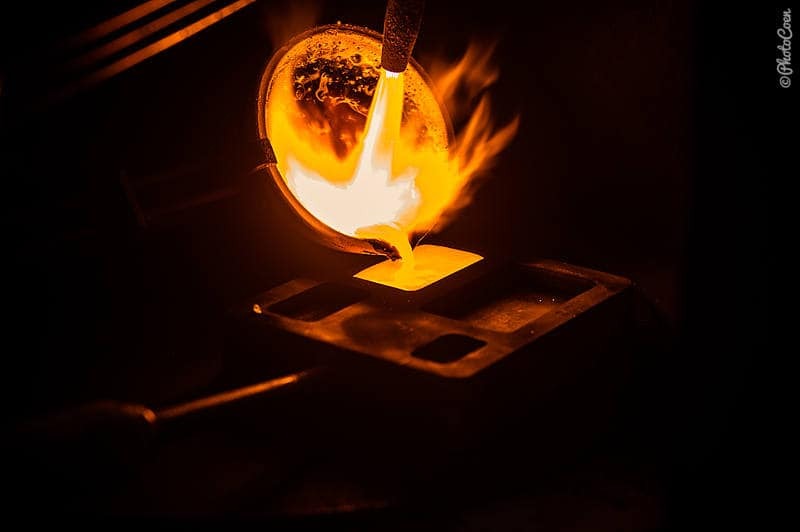 People were very open and we could watch the melting of gold from up close. 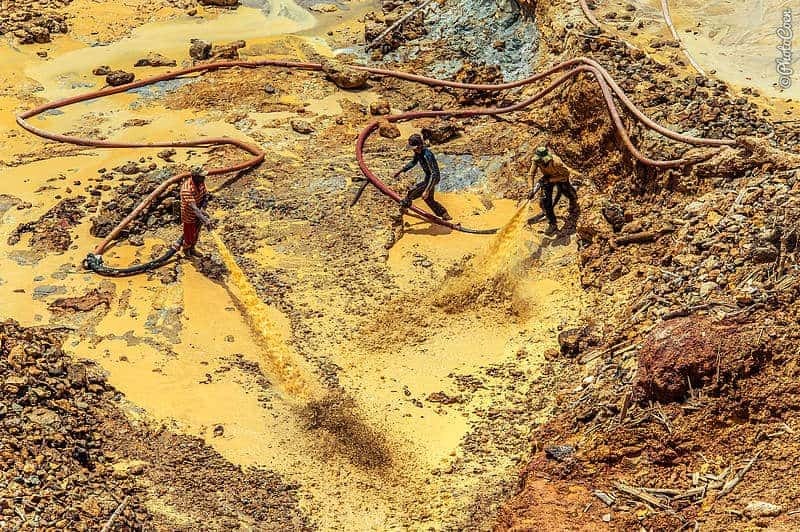 Driving down to Mahdia (stopping at a sawmill, find it here), Guyana’s gold mining region, was quite an adventure. No Wild West stuff but we camped at the hospital’s grounds and felt safe. Were asked by many locals to have a drink with them. 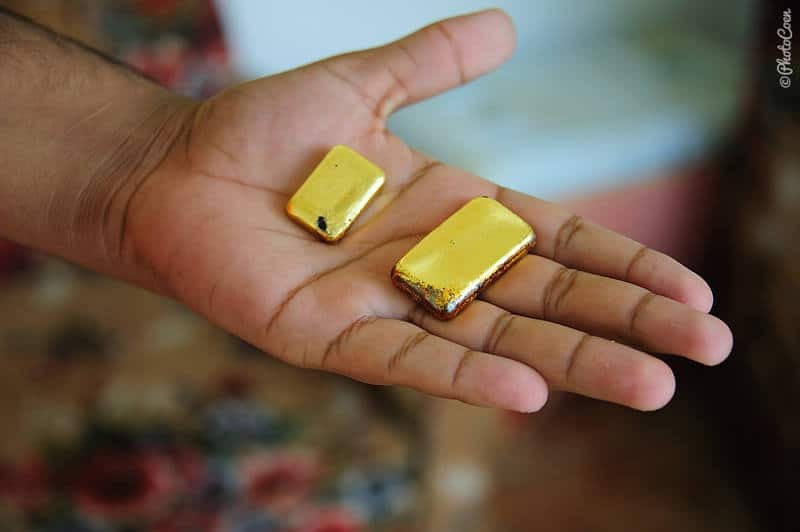 We could visit gold mines in the area. 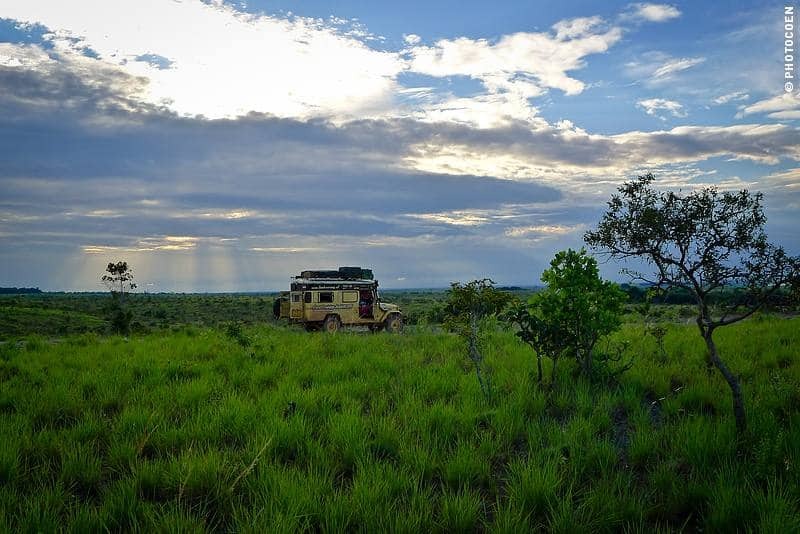 And, of course, we did some splendid rough camping in the Rupununi Savanna (see here. Of special note: our stay at Rockview Lodge (find it here). We stayed with friends and rough camped a lot. There are a number of vegetarian restaurants in Georgetown. Our favorite: House of Flavors serving Ital food. Address: the corner of Carlotte Street and Alexander Street (gps: 6.809129 -58.159632). The forum on Horizons Unlimited has been a longstanding source of information especially for motorcycle tourers but has a growing wealth for four-wheeled travelers as well. 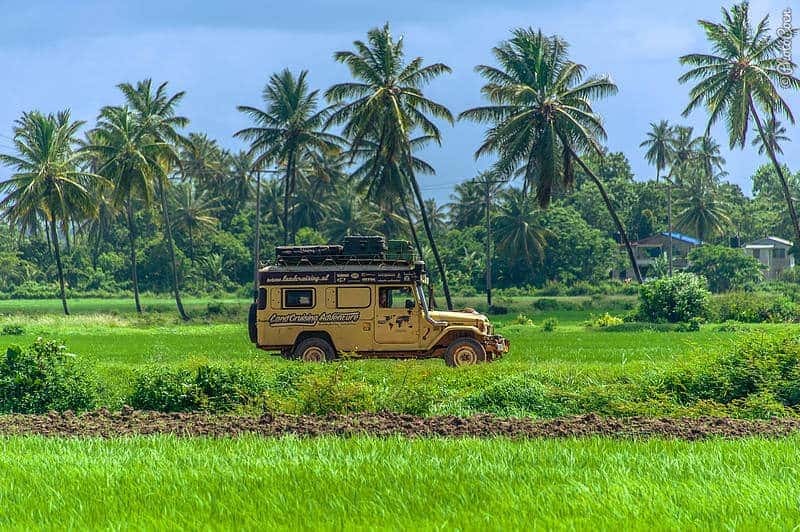 WikiOverland, help expand the special Wiki Overland pages. Ioverlander is the place where overlanders share GPS waypoints on many things, among which camping spots.